“The bioeconomy is a relatively new sector and so one could hope it is not yet ‘contaminated’ with the prejudices. In a way, it is a perfect territory for women to conquer and showcase the plethora of their skills.” To say it – in this exclusive interview with Il Bioeconomista – is Iris Aquilina Anderson, leader of the Bioladies Network. Iris has 35 years of policy, business and research experience specialising in the bioeconomy, agriculture, energy and sustainability issues. She is an evaluator for BBI JU and H2020 and is currently the First Ambassador of BBIA, a trade association promoting the bioeconomy in the UK and a Committee member of the Natural Materials Association, part of IOM3. Mrs Anderson, who are the Bioladies? Why did you launch this networking initiative? My personal passion is to see the bioeconomy recognised and established as the common sense alternative to a fossil fuel based economy. It is still very challenging and I set up this network to help achieve this vision. The bioeconomy is often mistaken for biotechnology- these terms, however, are not interchangeable. 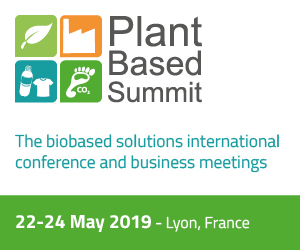 Biotechnology describes a number of technologies that have been, and still are being developed, that can, among others, enable transition to bio-based or biodegradable products. It also encompasses a number of medical developments. 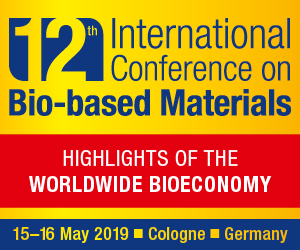 The Bioeconomy is a much broader concept, including materials, processes,policies, financial instruments, business models etc. It is a paradigm shift, that is relevant to a number of business sectors and technologies. To address this change in mindset requires people from different backgrounds and with different skills to make it happen. Creating a network was a good idea to bring like-minded people together, so we formed the Bioladies Network. This explains why the bio-network, but can you explain a bit more why did you decide to focus on women? The majority of women network to build relationships they can use both personally and professionally. They are aware that business networking is not just about business, it’s about life. It is about surrounding yourself with a support network for your life in general. Mostly women aim to create connections or long term friendships. The style of networking that is ‘give-and-then-take’ builds long-lasting relationships. There are of course nowadays many opportunities and groups for women to network. Our endeavour, however, is quite unique in that it aims to support women, not only in the UK and EU but globally, in an area of the economy that is not well understood by the rest of society. So, in a way, we accepted a “double challenge” – to support women who, with all challenges of being a professional in a male dominated world, decided to channel their energy into relatively new and unknown territory of bioeconomy. The Bioladies Network offers an opportunity to network, share knowledge and experience, and stay on top of the latest developments. It facilitates personal development and provides mentoring. 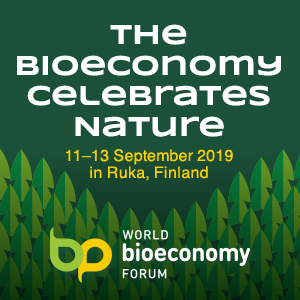 Through sharing views we gain a holistic view across all sectors of the bioeconomy, to bring about the transfer of knowledge and spotting of opportunities. The Network organises events that are open to everyone – men also – who might be interested in the topics or benefit from the networking opportunities they provide. We choose a topic for the event, like energy or sustainable construction. The events are held mainly in London but are soon to go out to wider areas – you can meet us in York on 6 June 2018. We also have informal catch ups about once a month, it’s not supposed to be only about work. I compile a quarterly newsletter which features some of the network members and their work and topical subjects. I also send updates to members to alert them to policy or business news. We give a voice to women by responding to government consultations, giving a gender perspective, for example the UK government bioeconomy strategy consultation. We are still waiting for the strategy to issue. If requested we provide mentoring or introductions. How can actually the role of women in the bioeconomy be different compared to men? McKinsey’s latest study of diversity in the workplace, Delivering through diversity, reaffirms the global relevance of the link between diversity—defined as a greater proportion of women and a more mixed ethnic and cultural composition in the leadership of large companies—and company financial outperformance. This is not the first time the role of women in contributing to a commercial success has been mentioned. But still, and especially in a more traditional or conservative sectors, women struggle to get to the positions they are perfectly qualified for. The bioeconomy is a relatively new sector and so one could hope it is not yet “contaminated” with the prejudices. In a way, it is a perfect territory for women to conquer and showcase the plethora of their skills. The Bioeconomy requires disruptive innovation to break away from the “old rules”. It also involves high levels of engagement and sensitivity to environmental and social issues – because it impacts the environment and communities. Work needs to be taken forward holistically so the “multidisciplinary mindset” is essential. This is something that women are very adept at. Members of the Bioladies Network, for example Carmen and Angela have created new value chains for sustainable material and packaging – and both involved local communities in their journeys. The Network aims to help increase the number of women in the bioeconomy as well as supporting women to progress to the board level so that we can reach our bioeconomy goals faster. The world is placing great hopes in the development of materials, chemicals and fuels made of renewable resources. Are these expectations realistic? I think those already in the bioeconomy are working hard to develop sustainable bioproducts. However, I feel the wider public still needs a lot of education – we will not be able to make a change if society does not support it. For example, we have seen a lot of rhetoric about fossil fuel plastic but a lot of what is written is based on assumptions, faulty statistics and headlines. We are facing many complicated and impactful problems and we should be involving people all along the way, avoid trying to give easy answers, because in the long-term these quick answers will not solve problems. We need evidence based, well considered responses to innovate meaningful solutions. So I feel it is realistic to continue to innovate and use renewable resources in the best way, but we also need to provide more education for the general public and governments so that policies and personal action support sustainability. My goal is to grow the network so that the number of women in all bioeconomy sectors increases and the positive effect of women reaches the boards of companies. The world can only be a better place when women inspire and support each other and help build a strong global bioeconomy.